When you're running low on time, but still want something nutritious and delicious for dinner, our rotini and pan-fried chicken breast made with the New RAGÚ® Simply Chunky Marinara Pasta Sauce is just what you need. Finding time to cook for my family can sometimes get overwhelming. By the time the kids get home and homework is finished, sporting events attended, and everything else that needs to be done is done, I'm exhausted and would just like to put my feet up, and relax in a warm soothing bath. However, as a mother, my kids deserve a home-cooked meal. I'm also not one for slaving in the kitchen, however, and I enjoy cooking meals that are quick and easy, but also delicious for my family. We are big fans of pasta and the one pasta sauce that can always be found in my kitchen pantry is RAGÚ®. 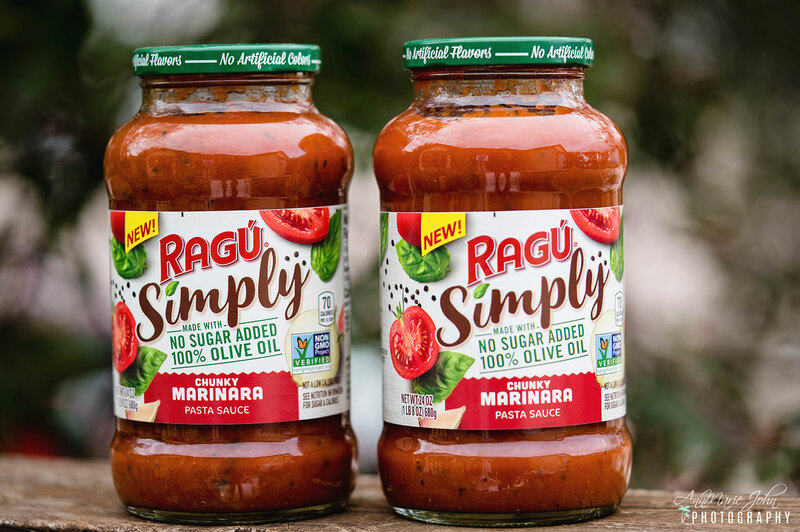 However, now that their New RAGÚ® Simply Chunky Marinara Pasta Sauce is available, it has joined the lineup. Made with 100% Olive Oil and containing no sugar, you can savor the taste in each delicious bite. From the tomatoes, garlic, onions, and spices, the RAGÚ Simply Pasta Sauces brings out the flavor in your recipes, thus allowing you to feel good about the food that you feed your family. 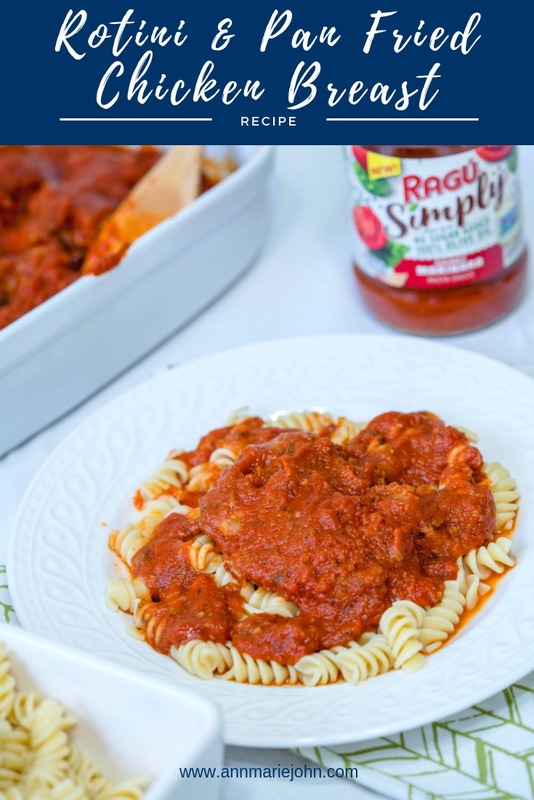 One such recipe that my family thoroughly enjoys is my Rotini and Pan-Fried Chicken Breast, smothered in New RAGÚ® Simply Chunky Marinara Pasta Sauce, it's deliciousness in every bite. Sprinkle chicken breasts with salt and pepper. Heat olive oil in a cast iron skillet over medium-high heat. Brown chicken breasts on both sides until golden brown, about 3 minutes per side. Cook the rotini according to package instructions. Serve 1 chicken breast with sauce over your rotini, eat and enjoy! The New RAGÚ® Simply Chunky Marinara Pasta Sauce simply brings out the flavor in your chicken and makes this one very simple and delicious meal. RAGÚ has graciously offered to create an extra custom box as a giveaway for one lucky reader. 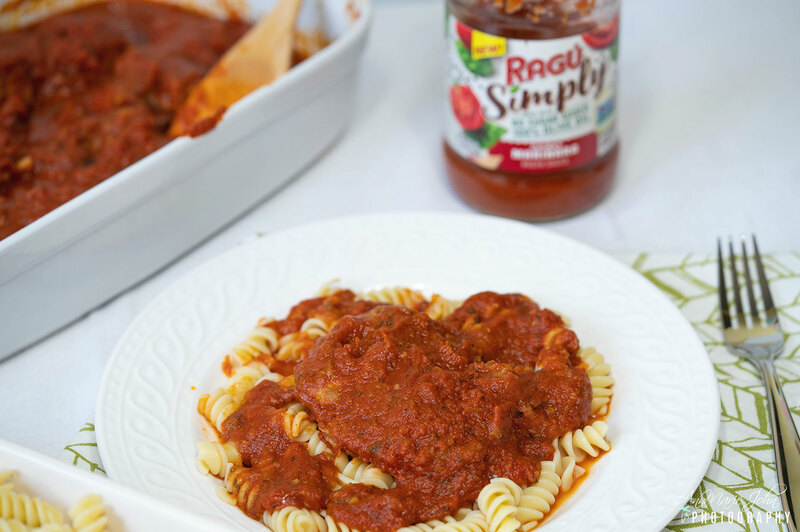 Enter to win a RAGÚ ® SIMPLY PASTA SAUCE Prize Pack. Open to US residents only.